Toyota is making its Safety Sense P suite of safety features standard on the 2018 Prius v, but it comes at a cost as the automaker also ups the price of the base model by $685. The automaker’s bundle of advanced safety systems includes the pre-collision system, dynamic radar cruise control, lane-departure alert and automatic high beams. None of the features was even available as option on the 2017 model. A new 4.2-inch multi-information display is also standard for all 2018 models. The base model starts at $31,390, including delivery charge. The vehicle will be available in two other higher-price trim lines. The Toyota Prius v with luxury package starts at $33,610, delivery charge included, and adds satellite radio, premium navigation, heated front seats, power adjustable driver’s seat, integrated garage door opener and more. 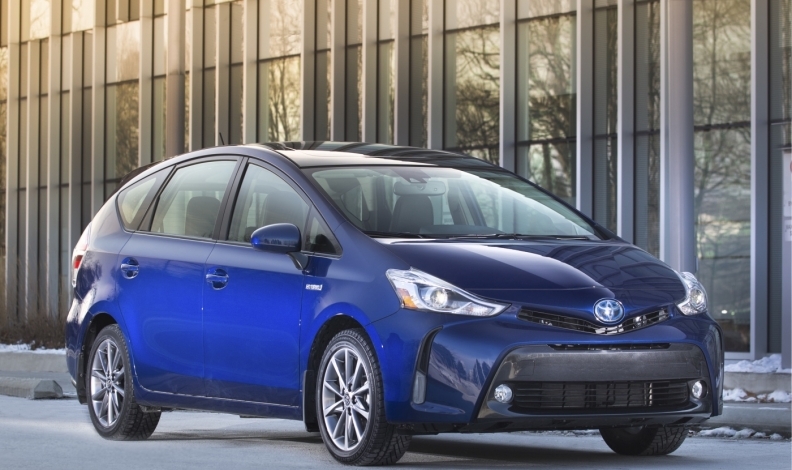 The Toyota Prius v with technology package starts at $37,215, delivery included, and comes with everything in the luxury package plus 17-inch alloy wheels, a resin panoramic sunroof, LED headlamps, and fog lamps. The 1.8L cycle four-cylinder engine hybrid system has a fuel efficiency of 5.8 litres per 100 km city/highway combined. The vehicle goes on sale in January.